Some of you may object to characterizing a Velociraptor as a “woman,” but today I’d like to persuade you otherwise. A few weeks ago, this tweet showed up in my feed and I—being the obsessive fanatic that I am—wanted to dissect the film from this point of view. 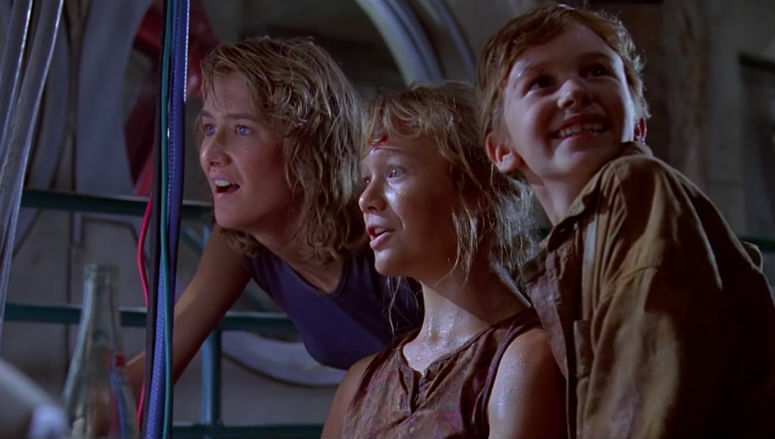 What kind of women are the women of Jurassic Park, dinosaur and human? Dr. Sattler is the kinda obvious, good human woman as our female lead. She’s a paleobotanist, in some sort of relationship with male lead Dr. Grant, but also laughs through the attentions of Dr. Malcolm, no matter how much I cringe at him. She is described as “tenacious” when tackling the mystery of the sick Triceratops woman, and she’s not afraid to tell Dr. Hammond what she thinks about his hubris or rather obvious and awkward sexism. She does some rather pat womanly things, continuing to push children on Dr. Grant and being the one to take care of wounded Dr. Malcolm in EVERY scene that the two of them are together. Even when she’s returned from the maintenance shed to the emergency bunker with Dr. Grant, she’s standing over Dr. Malcom like she’s attending to him. Still, she’s a “new” woman because she digs in the dirt and defines her own romantic relationship, but she’s also “safe” as she still embodies traditional female caretaker roles. Lex is more fickle, though I’m inclined to give her a bit of a pass because she’s still a child and her brain hasn’t finished developing. She’s starting to formulate her worldview—she’s a vegetarian, she informs us, despite that scene with the jello (unless she was jiggling it in horror because she realized she ate gelatin processed from meat product!) and prefers staying in her room and hacking, or just playing with her little brother Tim. She deliberately puts herself in harm’s way to protect her brother several times in the kitchen scene. She understands Unix, the island’s computer user interface, well enough to navigate the world’s worst security system and engage the locks in the control room. She has a rather obvious crush on Dr. Grant (encouraged at one point by Dr. Sattler) and even fakes tripping so she can hold his hand. She also screams all the freaking time. Like Dr. Sattler, she too is “new.” She pursues her own path outside of cultural norms—one could argue intentionally subversive—but she’s also “safe” because she exhibits very expected little girl behavior. To be clear, tons of people want kids and want their romantic partners to want kids as well and that is totally fine. To earn my bread, I myself take care of people that have been injured. Thirteen-year-old me would absolutely be into Dr. Grant, and I screamed when the Velociraptor woman jumped through the cabling in the maintenance shed, even as many times as I’ve seen this movie. Those are just cliché female traits, and when there are so few characters representing 50% of the human species, it’s difficult not to see it as a characterization of the whole. As for the rest of the human women, some of them are at the dig site with Dr. Sattler and Dr. Grant. Some are sitting at the restaurant where Dennis meets Dodgson. A few of them are actually unattractive by conventional norms! We actually get full shots of their faces! This is more than can be said for the women employees of the park. There are a few women in the lab, the backs of heads of a couple in the control room, one of whom seems to be working on something instead of walking out of the frame like every other female employee (gasp!) but that’s about it. Similarly, there are some background dinosaur women in the park. 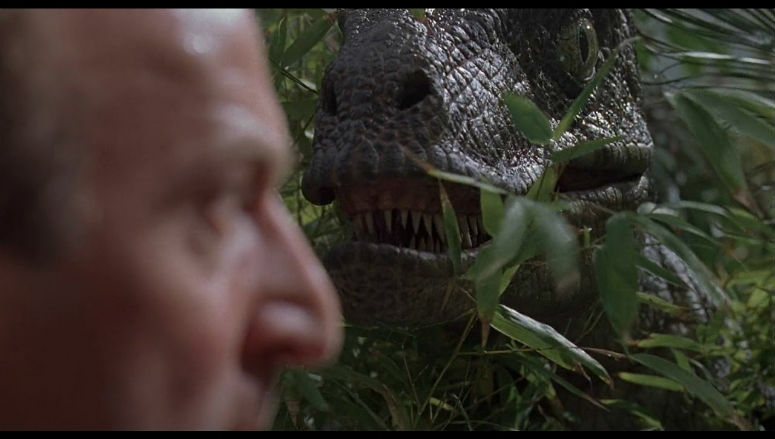 The Brachiosaurus woman that stops Dr. Sattler and Dr. Grant dead in their tracks is just kinda eating some leaves, going about her day. So are the Hadrosaur women that do move in herds along the edge of the lake. The Gallimimus ladies running club squawks a few times at Lex, Tim, and Dr. Grant, but is able to keep up their brisk pace until Tyrannosaurus Regina decides she’s having one of them for breakfast. 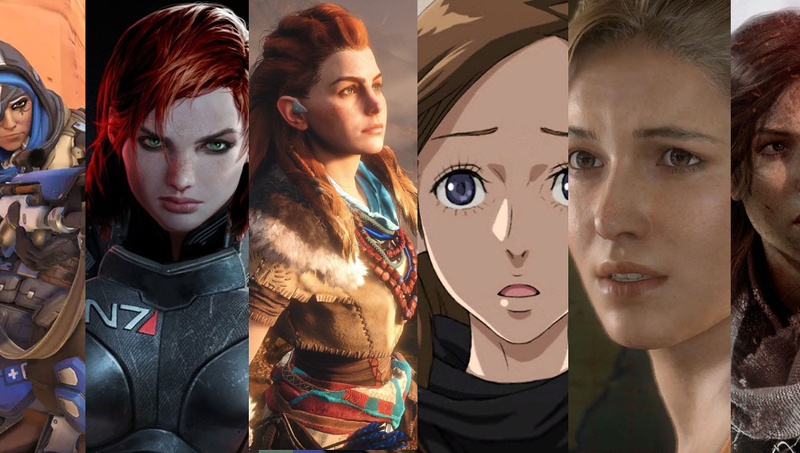 A number of dinosaur women are in the traditional female “helper role” where their primary purpose in the movie is to facilitate characters that actually matter in achieving some self-actualization. Triceratops helps Dr. Grant remember that he was once a child too and makes us realize that Dr. Sattler is a legit Doctor because she digs through a mountain of poop. A Brontësaurus Brachiosaurus woman helps Lex appreciate the wonder of prehistoric life around her and realize she is also a veggiesaurus (then sneezes on her because we needed some humor after lawyer lunch). By far my favorite dinosaur woman is Dilophosaurus. Sure, she metes out narrative karma on programmer Nedry once he’s screwed over the park (and called her a “nice boy” and “not like your big brothers” but who takes that kind of thing to heart?). Mostly, though, she knows what she wants and neither a tropical storm nor a sleazebag can deter her. She wants her a thicc boi snacc and she got it. The dinosaur women the movie cares about, however, are the velociraptor pack and T-Regina. They’re the two opposing representations of femininity. T-Regina terrorizes Lex and Tim and chews on the lawyer Gennaro, but she does it because she’s following her instincts from 65 million years ago. She gets a pass. The Velociraptor women were following their instincts as well, but they aren’t beautiful and natural and oh-aren’t-they-something-to-swoon-over. The Velociraptors are the villains of this film because they’re in direct competition with the humans for position of apex predator. This narrative-framing happens all over the movie. There’s the opening scene with the Velociraptor woman so fiercely independent that she’s handled with cattle prods and steel. A few minutes after, Dr. Grant virtually dismembers a kid at the dig site describing how the “six-foot turkey” would kill him. One helicopter ride later, Muldoon tells the park guests how the newest Velociraptor (we can safely assume it’s the one in the opening scene) killed off most of her pack in an effort to eliminate detractors. She then had the Velociraptors jumping at the electrified fences to test them for weaknesses. Once chaos reigns and those same fences stop working, the Velociraptor women easily separate and pick off the humans. And as Dr. Grant predicted, Muldoon meets his death not from the front, but from the side. 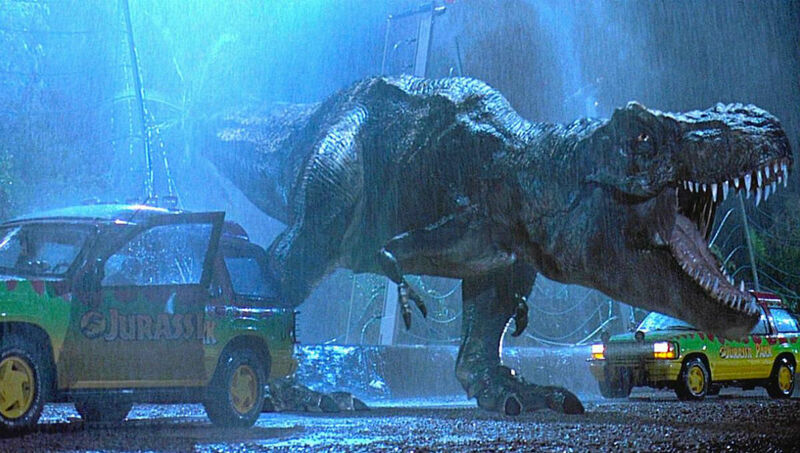 “Clever Girl” is a rallying cry for so many ‘90’s kids, but it’s no compliment. Muldoon is not in admiration when he says, “When she looks at you, you can see she’s working things out.” Dr. Grant even throws away his Velociraptor claw. He was in love with the idea of Velociraptors, but face-to-face he is threatened and terrified. Dinosaurs can be wild and majestic and even violent, but the second they start exhibiting human-like intelligence and acting in direct competition with humanity for survival, they’re instantly the bad guys. T-Regina has to come and teach them a lesson because sweetheart the humans have been running the planet for the last few thousand years, they’ve got it, let’s just sit over here and look pretty. 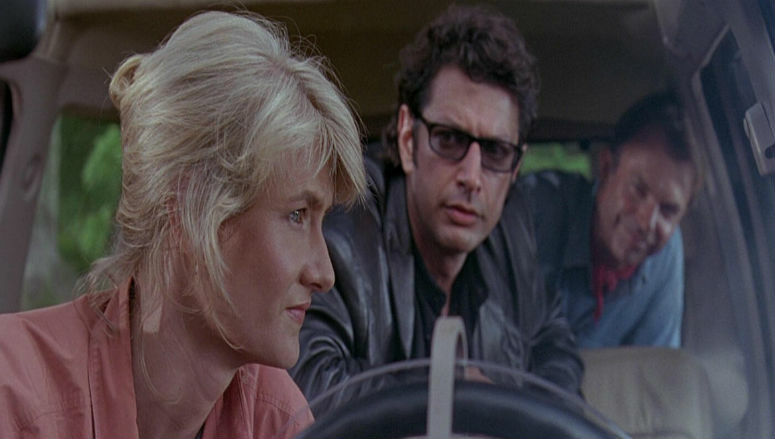 The true travesty of the most recent run of Jurassic Park films is that, in order to let Velociraptor women continue to exist alongside humans, they have to be brainwashed to obey them. After this reading of the film, I am inclined to agree with Dr. Sattler. “Dinosaurs eat man. Woman [we’ll be collective here] inherits the Earth.” I didn’t initially set out to tell this story. I wanted to talk about how the dinosaur women were treated better than many human women across film, but I’ve found they aren’t. They’re treated the same. 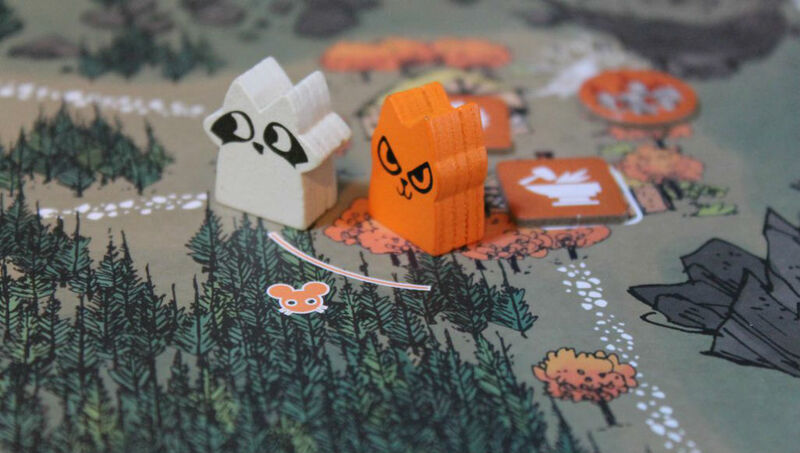 They can be wild and fierce and exist separately in safe preassigned roles, but competition is out of the question. True coexistence would mean annihilation of us both. That’s depressing, awful, and an unfair comparison. Human men aren’t (usually) going to arm themselves with lethal weapons when a woman comes into the space they’ve previously dominated, and human women won’t (usually) eat their male counterparts. Human women don’t need to exist separately from human men in order for both to be safe, productive members of society. We lose no face by being represented in our realities versus our comfortable clichés. Contrary to Dr. Grant’s painful lesson, we’re not in competition for apex anything. Life has already found a way. 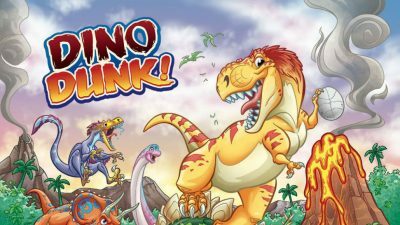 Build Your Jurassic Dream Team with Dino Dunk! Dino Dunk! is an endearing dexterity game simple enough for children yet strategic enough to hold the attention of their parents. 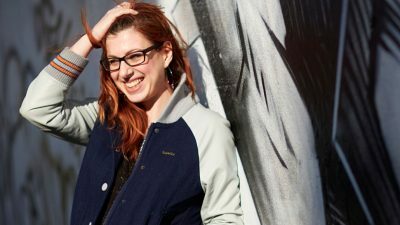 Cara Ellison talks about the value of asking hard questions about God, whether the feminists are ruining our games, and videogame addiction among parents.